Retail Price: $3,299.95 ONLY: $3,199.95! The CL 14,000 FP is a heavy duty Four Post Hydraulic Automotive Lift designed for heavy vehicles. 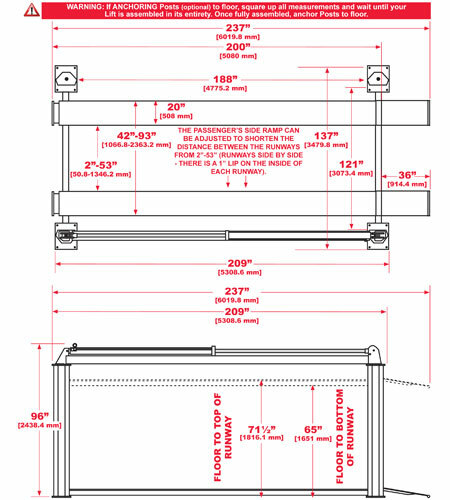 This lift is designed for use in high volume service centers. This lift is made to accommodate large dually trucks! Below you will find much more information about this product, including all of the INCLUDED features that set this product above the rest: Details on the Power Unit & all other Featured Components; a full list of Specifications; a Photo Gallery with more pictures of this product; Shipping Information; Optional Accessories & Combo Packages available! See Below For More Info! Perfect For Servicing Heavy Vehicles! 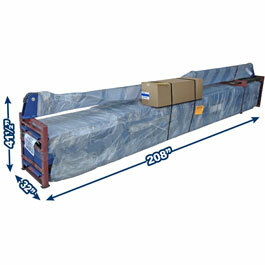 The CL 14,000 FP is designed for high volume shops, lifting large vehicles, including heavy trucks and vans. Wide Construction For Large Trucks: A wide drive through width, 20" wide runways, and heavy 14,000 LB. capacity, the CL 14,000 FP is made to handle large fleet vehicles. 5 Position Single Point Air Lock Release Safety Lock System: Wide range of secure locking points allow for safe operation w/ air powered single point lock release. Removable Stop Plates: 4 Removable Stop Plates are included to allow you to secure vehicles from the front and rear, preventing accidents and increasing safety! 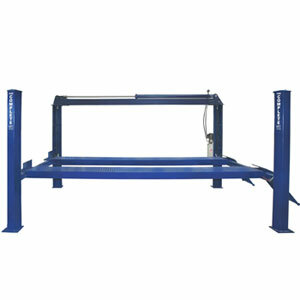 Adjustable 20" Wide Runways: Adjustable Runway allows the CL 14,000 FP to lift a wide range of vehicles. Heavy Duty Leaf Chain: High tensile strength chain for durability and longer operational life. 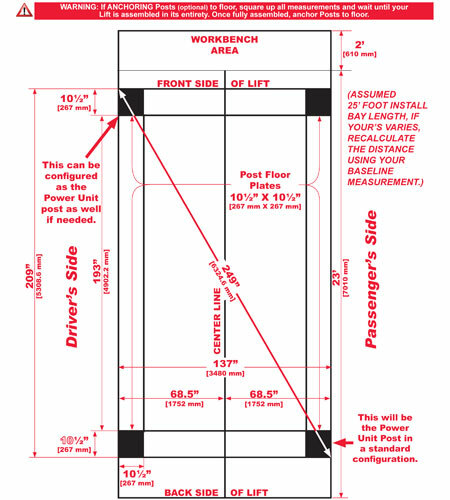 37" Approach Ramps: With 37" Drive-On Approach Ramps and Diamond Plate design, getting vehicles onto this lift is easy! Low Profile vehicles are NO Problem! Powerful 220V Power Unit & Large Hydraulic Cylinder: The powerful hydraulic system in the CL 14,000 FP is built for durability & reliability. The specs above are for the CL 14,000 FP. Complete Hydraulic also offers a wide variety of other 4 Post Lifts. To see the other Portable 4 Post Lifts we have available, and for product comparisons, click here. 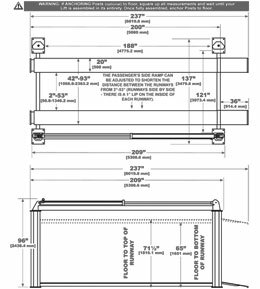 Use this drawing to verify that you have adequate space for installing this lift in your installation bay. 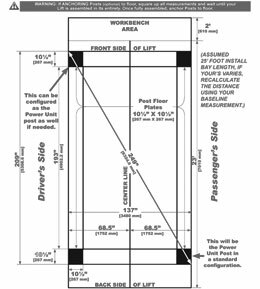 See the Specification Charts above for drawings of this lift's dimensions. Use the link below for higher resolution copies of these files. The CLRBJ8 is a 8,000 LB. ROLLING Bridge Jack designed to work with most 4 Post Lifts on the market today! MORE INFO. This is a picture of how your CL 14,000 FP will be shipped to you. Please read the Shipping Details section below for more information about our shipping procedures! 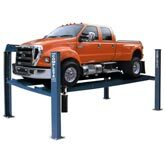 The CL 14,000 FP Four Post Lift's weight is just under 3,000 LBS. If you have any questions regarding shipping procedures or would like more information on this equipment, PLEASE CALL US AT 1-888-736-5094!